Is GMO Trading A Scam? One of the main ways to see if a broker is a scam or not is to check their regulation. A broker with full regulation is constantly audited, asked to submit compliance documents and has to maintain strict capital requirements among other things. GMO Trading is regulated by CYSEC, and so far there haven’t been any reports of misconduct so we don’t have any reason to suspect them of being a scam. That being said, I don’t like their “we are the best” approach. A quick glance at their “About Us” section and all you’ll see are buzzwords and self-praise. The best, “unparalleled trading environment and services” and more… feels a bit cheesy but it doesn’t make them a scam. Regulation plus Meta Trader 4 equals “A Match Made in Heaven” when it comes to brokers and GMOTrading has both. On top of that, they offer the web version of Meta Trader (Webtrader), which brings you all the features of MT4 without the need to download or install anything. They advertise cryptocurrency trading, Forex, commodities, stocks and more but when I opened a Demo account all I could find was Fiat currency pairs, no trace of the other assets. This could be because I was using a Demo account but I thought the purpose of a Demo is to emulate real market conditions and to offer the client a glance at the broker’s services and trading conditions. If I were to judge them based on the Demo experience, I wouldn’t open an account there. Should I Open An Account With GMO Trading? Regulated by CYSEC, Meta Trader 4 for desktop, browser, and mobile, lots of education material and a relatively low deposit. What’s not to like? Well, a couple of things: this broker relies on buzzwords and hype a bit too much and lacks easy to find information. They have three types of accounts – Silver, Gold, and Platinum – but they don’t say how much you need to deposit for each one and they only list leverage information for Professional traders. Education comes in form of videos, e-books, courses, and tutorials, which are all great for newbies but of little interest to advanced traders. Let’s be honest, advanced traders will not find anything to learn from any broker, mainly because the education material on brokers’ websites is geared towards the entry level. Overall the website has a nice presentation but I would like to see more information about trading conditions, including spreads, minimum deposits, and a full asset list. That being said, I believe GMOTrading has an advantage over its competitors: the CYSEC regulation, which comes with extra perks and safety features (transparency, segregated accounts, compensation fund in case the broker goes bankrupt, etc.). But on the other hand, you can find a lot of regulated brokers nowadays, and I believe there are better options. Many GMOTrading clients have complained about “bully” tactics and high-pressure marketing. We’ve also found people who say the brokerage spends the clients’ money without permission (by opening trades I assume) and some who cannot withdraw or even contact the brokerage after asking for their money back. These complaints are quite worrisome, so we recommend caution around this broker. CYSEC hasn’t issued any warnings or fines against the broker. Withdrawals have a very fast processing time: same day if the request is sent before 9:00 am GMT+2 or the next day if the request comes after 9:00 am GMT+2 (this doesn’t apply to weekends and holidays). Then it depends on your bank how long it takes to transfer the money. The company will charge a 50 EUR (or equivalent) withdrawal fee if there’s little or not trading on the client’s account before a withdrawal request is submitted (pretty weird if you ask me). Also, withdrawals below 100 EUR will incur additional fees, which are not mentioned. CYSEC has put a ban on trading bonuses, so this broker doesn’t offer bonuses due to their CYSEC regulation. Usually I am very content to see a broker that offers Meta Trader 4 and GMOTrading offers not one but 3 versions of this platform – desktop, web, and mobile. Also, seeing how many unregulated brokers still operate, we can surely consider this brokers’ CYSEC regulation an extra. The website is translated into 6 languages but not so easy to navigate, and a lot of basic information is missing. The trading platform is user-friendly but it has a learning curve. Demo accounts are freely and easily available. On the website, GMOTrading advertises a huge array of trading assets across 4 classes (currencies, indices, stocks, and commodities), but unfortunately, most of them cannot be found on the trading platform (Note: we used a Demo account for this review). Spreads are very high for the Silver account (2.2 pips for EUR/USD) but they become tighter for Gold and Platinum accounts. However, the deposit amount for either account is not specified. The leverage goes up to 1:500 for currency pairs for Professional traders but it’s very difficult to qualify as a Professional according to ESMA rules. The max leverage for retail traders is 1:30 for currencies and lower for everything else. They offer little to no information about deposit and withdrawal methods. According to the logos that appear on their website, they allow Visa, MasterCard, Maestro and V Pay. They also mention banks but don’t offer additional information. 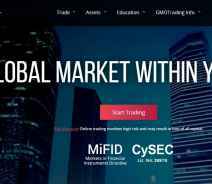 Meta Trader 4, CYSEC regulation, fast processing times and an overall professional look. All these add up to a solid broker, but nothing unseen before. Withdrawing your funds from GMO is a way easier experience than I have had with other platforms or brokerage providers. Not only that, but they have a great variety of accepted payment methods. I’d say this one is a good pick for a newcomer to the industry. Thank you, I will continue to trade with you! Started to follow GMO Trading last year. Looked at several webinars. Most often read reviews. In general, I did not have free money to enter. Just got an opportunity. Yesterday I registered, I will replenish the account on Monday. I hope I enjoy trading. Never, never, do something with this company they take all your money even when you lay in hospital and have havy medicine than they stil going on and on.No do never busines with them!!! Amichy put on his visit card SENIOR ACCOUNT MANAGER that means that you are profesional. He say to me therms like ‘trust me my friend’ ýou are my friend ‘. Even they call you i count it 26 times a day. They are falls and mean snakes that’s the right word! I even still mis money they don’t deliver it back. I have them adres maby its a good reason for holiday to go to the office! Thank you Amichy and Ana for destroying my life!!!! I too felt with Amichy. They prey on the vulnerable and convince us to invest and lose a lot of money. He too has messes up my life! Very helpful forecasts from GMO experts on YouTube. And when i opened an account I did not doubt the reliability of the company, and they never gave cause for doubt. On the contrary, they teach trading for free, then the manager helps in everything. Recommend! I opened an account with the advised 250 euro, excited to start trading and waited for the promised call of the experienced trader to help me. I was called several times by a trader but he only tried to convince me to invest more money. I needed at least several thousands of euro’s to get started. According to him it was not wise to start trading with 250 euro. I believed him and because I didn’t have the money available at that time, and didn’t want to borrow it, I put the account on hold until I was able to come up with more money. Today I decided to withdraw my funds only to find out that the 250 euro is gone, went to dormant fees. I have never heard of this term before but I just found out that it is specified in point 34 of their terms and conditions. Terms I didn’t read completely because it’s such a huge document. Stupid of me! 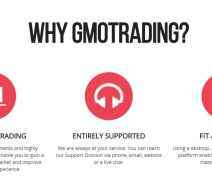 Thank you for commenting on GMOtrading. As specified and read by you on our Terms& Conditions, dormant accounts will be followed by a fee which is specified by the Terms& Conditions. The Terms&Conditions documents presented prior to final approval of the sign up process to our services, and clear every process and procedure. We are sorry if our services were not your satisfactory, but we will be more than happy to help in any which case if needed on your part. I could not close my deal as they had an issue with platform but when I called them everything was solved very fast. I should say that they are really trying to keep their reputation and attitude to clients on high level! I have been trading with GMO for more than 3 months. When I decided to withdraw money I waited a long time, but after a while, the money came into my account. Later I complained to the support service, and since then the money came without delay. GMO is a pretty good broker. Don get my money back since 3 month. They don’t answer. They don post comments. Liers, Thieves, Incompetent ignorant Bloodsuckers. No, it is not stupid of you because the account manager puts enormous pressure on you to invest more. It is not true that you are forced to invest more and more money. And also have to transfer so many personal details to them. I even think about calling in several lawyers for this because I still do not have my money !!! Identity fraud company. They have you deposit money through a Skrill account. By the time you want it back, you need a Skrill account. Of course you don’t have one. Solution: send us all your bank details, ID-card residence information etcetera. So they can use it for buying weapons, residence locations to hide terrorists. Pity that google is supporting this still. 9-11 was not enough? You want more? Happy to be of service. They don’t accept Islamic bank accounts, why you wonder???? We don’t want to hit on our Islamic friends that go to heaven when they die. Maybe you should first take care of your Islamic friends in the Mediterranean Sea that drown while seeking refuge instead of taking them in your own countries you let them flee to Europe. The land of evil according to Islamic teachings. Real showcase of love for your brother. You can contact their chat service: you know what they answer: JUST SEND US THE DETAILS PERIOD. I AM GOING TO INFORM THE AUTHORITIES OF THIS SCAM. THE INTERNET LEAVES A TRAIL OF EVERYTHING. did you send them credit card details?? For any issues or help needed, we would be more than happy to help and assist.